Find the perfect scent with our beard oil sample set. 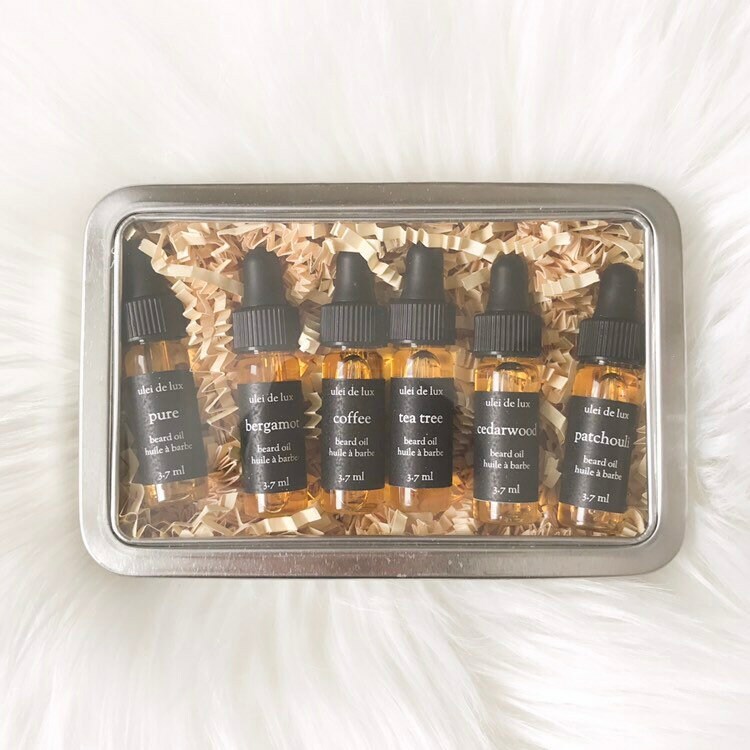 This kit includes 6 x 1 dram (3.7 ml) samples of our beard oil packaged in a reusable metal tin. Made from a blend of Argan, Jojoba, Castor and Sweet almond oil, the light formula softens and conditions even the unruliest of beards without feeling heavy or greasy. - A fuller looking beard. - Softer hair with lots of shine. Sweet Almond oil, Argan oil, Jojoba oil, Castor oil, Vitamin E, Essential oil. To use, simply place a few drops in your hands and rub into your beard. That's it! The Beard Oil Gift Set was for fathers day. It arrived in a timely manner was in great condition. He really loved it. The oils work great to soften the beard and moisturize it. I was nice to have the small bottles to try the different scents. I would recommend it to anyone that has a beard and has someone in the family that has one.